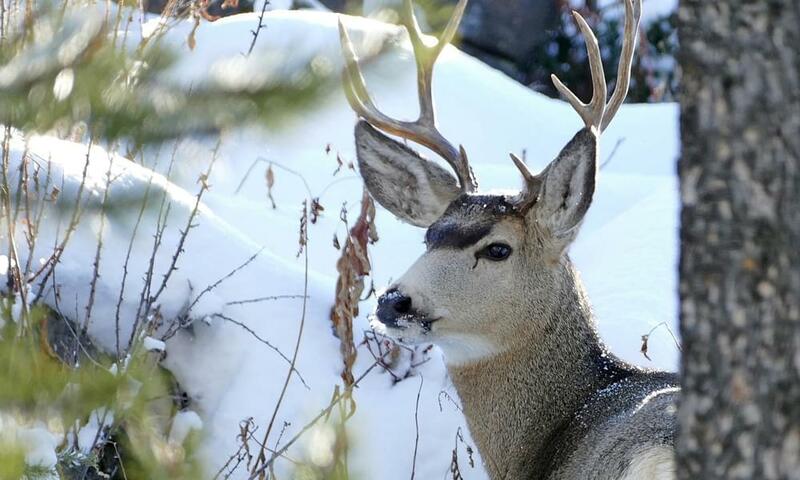 Winter is a special and enchanting time at Grand Canyon National Park with quiet, uncrowded days usually graced by sun and sometimes laced with a shawl of snow. Days are typically sunny, with highs in the low 40s F. Join us for this unique experience featuring great guides, unique moments, and accommodations in enviable places. Meet up with your naturalist guide in Phoenix then head straight for the one-and-only Grand Canyon, with a couple of interesting stops along the way. 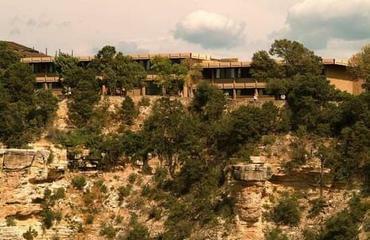 You’ll stay on the South Rim with easy access to the Rim Trail and overlooks. Daylight hours are dedicated to hiking, exploring, and taking in the immensity and grandeur from spectacular points and overlooks. After this terrific time in the park, head south through beautiful Oak Creek Canyon to Sedona. Your charming inn in the heart of Uptown comes complete with fireplaces and an outdoor hot tub. We take a full day to explore and absorb these beautiful surroundings with hiking, a jeep tour, and some spectacular stargazing with a local astronomer. It’s all, literally, awesome. Active outdoor adventure: Hiking, exploring, jeep touring, and star gazing make for a dynamic, exciting journey. The skies: Sunrise and sunset in the Grand Canyon are renowned, and at this time of year you won't have to elbow your way to a good spot to see them. As for star gazing – wait until you see what a night sky looks like far from city lights (brilliant!). Spend time at elevations ranging from 4,000 to 7,000 feet, with 4-6 hours outdoors each day in cold and potentially snowy weather. Activities include hiking on most days from 1 to 4 miles with up to 3,000 feet elevation gain, and a two-hour 4WD jeep tour. This morning you’ll meet your guide in Phoenix and be on your way to the Grand Canyon. There are a number of possible stops along the way – short hikes and fascinating natural and geological features –and your guide will choose the best ones for the weather and the group. Arriving at the Grand Canyon, we’ll check in to our hotel rooms. There should be time to relax or take a short stroll along the Rim Trail before dinner. After breakfast we’ll don our hiking shoes and hit the trail, with our knowledgeable naturalist guide leading the way. There are a number of trail possibilities, each one extraordinary! Your guide will share their knowledge of the area’s natural and human history, making for a real insider’s experience of the South Rim and its famous viewpoints and features. After our hike we’ll return to our accommodations to freshen up. Catching the sunset is something of a ritual in the park, and our guide gets us to the best vantage point to enjoy the show. After sunset, we’ll have dinner in a cozy South Rim restaurant. If you loved the sunset last night, set your alarm for the optional pre-breakfast sunrise photo opportunity. After breakfast, we have another full day of exploring and hiking in the park. At day’s end, we’ll celebrate our last night at the Grand Canyon with a festive dinner at the historic El Tovar Hotel Dining Room. After a hearty Grand Canyon breakfast, we’ll relish one more breathtaking view before we are on our way to Sedona. Along the way we’ll stop in Flagstaff for lunch, visit Slide Rock State Park to see a natural waterslide, and enjoy an easy hike along Oak Creek. When we arrive in Sedona, we’ll check into our accommodations then walk to a neighboring restaurant for some delicious southwestern fare. Later in the evening we’ll be joined by a local astronomer who will literally put stars in our eyes! Through his high-powered telescopes, we’ll view planets and stars and learn about the composition of constellations scattered above. After breakfast we’ll set out on a wonderful hike among the red rock monoliths of Sedona. Back in Sedona we’ll recharge with a hearty lunch at a local restaurant, then venture back out on an exciting two-hour jeep tour. Our expedition takes us past some of Sedona’s famous formations, like Bell Rock, Chapel Butte, and the Rock of Gibraltar. This evening at our farewell dinner we’ll find many reasons to raise a glass and toast to a wonderful journey! After breakfast and some last deep breaths of the high desert air, we drive back to Phoenix for early afternoon flights home. 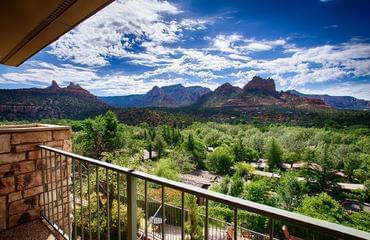 A great lodging option that is smart on budget and puts you right in the heart of Sedona’s Uptown area. In addition to nice room options throughout the property, each room enjoys wonderful views of the dramatic red-rock backdrop to Sedona from a deck or patio.